The general aim of this book is to explain the development of several types of models using an extremely small number of parameters in an attempt to find consistent properties of integral living matter within aquatic ecosystems. Starting from a minimal model of the whole study [i.e. 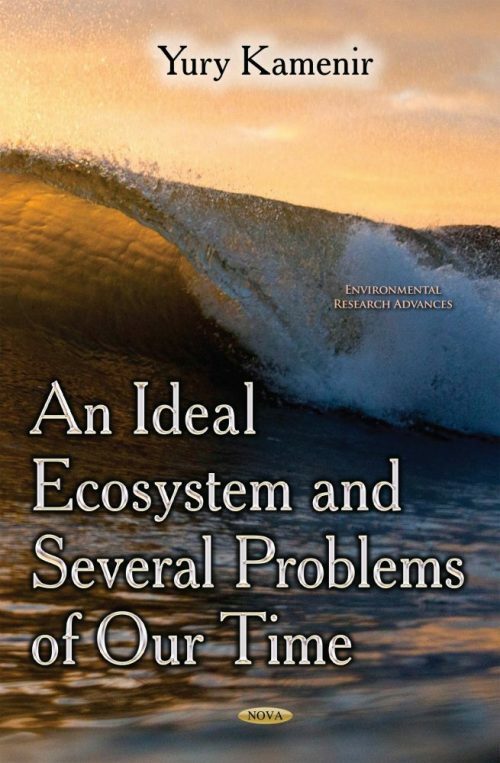 the ideal minimal ecosystem (IMES)], the authors developed a series of statistical models (size spectra, rank distribution, and regression models, including allometries). They then proceeded from ataxonomic to taxonomic size spectra to demonstrate and explain the high consistency of natural communities. Several types of species size-frequency distributions or “taxonomic size spectra” were applied, diminishing the importance of rare species and the assemblage time-space heterogeneity. A series of original studies written during the last thirty years to develop condensed, formalized models and empirical comparisons has demonstrated general patterns and the model’s drawbacks; hence, several cycles of modernization were fulfilled, revealing both the stability of natural aquatic communities and small-scale variability of the general pattern. Comparisons of several taxonomic hierarchy levels speak in favor of the whole-assemblage origin of the statistical mechanisms, supporting the long-term consistency of phytoplankton taxonomic size structure. Specific changes in the taxonomic size spectrum fine structure were evident and may be helpful for diagnostics, while the spectrum general pattern consistency can be helpful for monitoring and modeling the aim of this study. The consistency difference between several levels of the phytoplankton taxonomic hierarchy was demonstrated as a new phenomenon important for modeling, monitoring, and ecological forecast. Though stochastic dynamics of abundances and biomasses often emerge from experiments and mathematical models, some predictable patterns and indices emerged from large-scale studies of natural aquatic assemblages. Mathematical models demonstrated the formation of long-tail distributions produced by metabolic webs. Such consistency phenomena lead to explanatory ecological models based on concepts of the living whirl (G. Cuvier), living matter (V. Vernadsky), dissipative structures, and biogeochemical cycles. Aquatic (marine and freshwater) ecosystem management could be sufficiently strengthened, applying reliable patterns and descriptors suitable for forecasting and diagnostic purposes. The scientific community and people interested in modeling of biological systems, self-maintenance of ecological systems and environment protection is the intended audience.